Higher Ground is a fun, action packed story of the old west. While the author, McKendree Long, loosely traces the adult lives of his three main characters, he does so by weaving in a number of actual historical events and real people. In doing so, the author creates an interesting cast of characters, and writes history from the eyes of those behind the scenes. Those individuals whom we can all easily imagine were there, but we just never heard about them. Long’s fascinating grasp at what life must have been like during the latter part of the nineteenth century allows the reader to get a vivid picture of the action and settings he creates throughout the book. I enjoyed this book and recommend it to everyone who enjoys historical fiction and particularly those fascinated by the wild west during the late 1800’s. Read the book! Raw, unvarnished, and authentic, Mike Long doesn't pull any punches when he writes anything western. The detail about the historical events in this book are spot on, including his riveting depiction of what it must have been like to be fighting the Battle of the Big Horn, also known as Custer's Last Stand. Long's command of the language, his use of imagery and his knowledge of weaponry make this a book for any western, adventure, or historical reader. As a memoir of World War Two pilot Howard Snyder’s experience in enemy territory, Shot Down by Steve Snyder introduces readers to the extremes of human nature. Soldiers and citizens risk their lives--and many lose their lives--in extraordinary feats that exemplify the concepts of integrity, honor, and courage. This is in stark contrast to the Nazi soldiers’ cruelty and depraved indifference to human life as depicted through the author’s narrative and his father’s journal entries. This book takes the reader on a historical and sometimes moving chronicle of WWII. History emerges as the true main character while the tale of the author’s father, Howard Snyder supports the narrative. Snyder’s experiences in training, combat, and in hiding behind enemy lines provide the backdrop for a factual narrative of each component in Snyder’s tale. For instance, Snyder’s training allows the author to delve into a textbook outline of the rigors involved in training and combat for the crews of B-17’s. The aircraft is also headlined throughout the book, as the author’s research presents itself in page after page of detail on the history and evolution of the B-17. The backdrop, origin, and timeline of World War Two are all thoroughly addressed and bear much of the weight of this book. The historical theme of this book is personified through the tale of Howard Snyder. Shot down over enemy territory, Snyder survives and ultimately returns to his family through the courage of citizens who help him and others like him. Diary entries, pictures, and excerpts from letters between Snyder and his wife impart emotion into the historical aspect of this book. A heavy volume of facts about soldiers and citizens alike who battled the Nazis in heroic fashion demands respect and gratitude from the reader for all who fought and sacrificed. Steve Snyder writes with a passion for history that is illuminated through the evident research he devoted to this book. Historical aficionados will appreciate this detail. Shot Down was created from the vast number of letters and journals of Howard Snyder; diaries of men and women on the ground who rescued, sheltered and hid the crew; and interviews conducted by historians. Centered around the 306th Bomb Group in Thurleigh, England, it is informative, insightful and captivating. For most, 70 years is a long time ago. World War II fades in importance as each year goes by. Shot Down moves history out of the footnotes into reality, keeping the stories of real people alive as they experience being shot down. You are there, almost holding your breath as Lt. Snyder gets his crew out of his B-17 when bailing out over Nazi occupied Europe. Near Death Near Life by Dennis Maulsby is a journey into the past and a peek at the future. We live; we die. We are touched by both. Some parts leaves scars, others laugh lines. Maulsby forces one to think about both experiences with broad meaning but concise precision at times. The flashes of brilliance force one to pause and remember one’s own brushes with death and glory in the joy of living. It reminded me that pain sometimes makes me feel close to the kind of life I dreamt about, but somehow reaching for it with frustration as I fall short of my ideal. The experience of war is described in short bursts, similar to a soldier’s reaction in a firefight. The time seems frozen and infinite but in hindsight was in fact fleeting. Life is confusing and death is final. At times Maulsby’s verse scratched off the scabs from old wounds compartmentalized somewhere in my warrior memory. Life is dance, music, rain, flowers, birds on wing. Death is final and universal. Maulsby takes the reader by the hand and meanders between the two with great skill. Veterans should read the book. Lovers of free verse poetry shouldn’t miss the opportunity to walk hand-in-hand with the author. Near Death / Near Life strikes a meaningful and tender balance between the appreciation for life's poignant moments, and the human experience of war, both as a construct and a memory. I thoroughly enjoyed reading Stump by Larry Allen Lindsey. Stump is a fascinating account of the World War II experiences of the late Lee Kelley. An avid swimmer, Lee Kelley joined the fight against the Japanese shortly after the bombing of Pearl Harbor and volunteered to become a Navy frogman. I was surprised to learn the frogmen in WWII weren't equipped with oxygen tanks. They were snorkelers whose mission was to swim in close to the shore and with the use of demolitions, destroy any obstacles that the Japanese may have placed underwater to prevent the landing crafts that would be bringing in the marines from reaching shore. Author Lindsey had the wonderful opportunity to get to know Lee Kelley, and in this book I got the sense I was hearing Kelley's first hand accounts of what happened. Facing Japanese snipers on shore, sharks in the water, and handling explosives on every mission, the life expectancy of the frogmen wasn't very high. The story of one of the survivors fascinated me and will fascinate you. Read this book! Motivated by the sneak attack on Pearl Harbor, champion swimmer Lee "Stump" Kelley is hell bent on becoming a Marine. Waylaid by a silver-tongued Navy recruiter he becomes a frogman instead. After blowing up under water obstructions all over the Pacific, at Tacloban he loses the first of his best friends in a gruesome explosion. A month later he loses the second in a freak encounter with a giant hammerhead shark at Manila Bay. Moving on to Okinawa with what's left of his frogman team, he suffers serious burns during the largest kamikaze attack of the war. At Guam a three star admiral asks his opinion on a prospective landing site for the invasion of Japan. As always, Stump tells it like it is. "Admiral... trying to march into Tokyo will cost a million American lives. And one of those lives is gonna be mine." Photo-journal that should be in every vet’s library. Warriors Remembered: Vietnam Veterans--Welcome Home by Albert J. Nahas is a wonderful pictorial journey to several veterans memorials around America. Mr. Nahas provides the history of the efforts of those involved in creating monuments to the memory and sacrifice of those who fought for our country, in particular to those who shared the Vietnam experience with him. He was drawn to include those who fought or served in all our wars, men and women alike. It is a coffee table book in the truest and best sense of the description. His photography is the next best thing to being at these places in person. Like most Vietnam vets, I know much of what went into the creation of The Wall in D.C. I am aware of local memorials, but I knew nothing of the efforts made by others around the country. Mr. Nahas enlightened me. He took me places I can’t go. He showed me things I won’t see up close. He made tears well up in my eyes, with appreciation and respect for those who worked so diligently to keep memories alive, who salute those who died or otherwise did not come home. Albert J. Nahas took me on a magic carpet ride around the country with the art of a photographer and the patience of a teacher. I can feel his emotion. I feel his effort. I know how much it cost him to produce this work via his own wallet and at the expense of unending emotional commitment. I thank him for it. I recommend this wonderful book to all who support the military and especially all those who served. When Eugene Bullard's father told him there was no racism in France, a very young Eugene became determined to be where all people were treated with respect - France. In his biography on Eugene Bullard, the World's First Black Fighter Pilot, Larry Greenly paints our hero with tenacity and an unyielding desire to live in a world of equality. In his quest for France, the young run-away found not all white people were mean, and not all black people were his friend. He finally found the respect he earned and desired for so long in the fighting ring, on the music scene, and over the field of battle. Eugene Bullard led a fantastic life. Fighting against the Germans in WWI with the French Foreign Legion, Bullard excelled in every endeavor. But, he came home to find a handful of Americans remained deeply embedded in the racism trench, never to accept him for his accolades over his skin color. Larry Greenly's biography intrigued, enlightened, and saddened me. To live and fight for a country during a time of intense war, only to be treated less than human, yet remain true to your dreams of tolerance and love is truly a feat for only the bravest among us. Eugene's perseverance and drive should encourage us all to seek the good in everyone. Mr. Greenly reminds us of the true American hero who was Eugene Bullard, the World's First Black Fighter Pilot. Pioneering black aviator Eugene Bullard, descended from slaves, became the world’s first black fighter pilot, though he was barred from serving the United States because of the color of his skin. Growing up in Georgia, Bullard faced discrimination and the threat of lynching, but he had listened spellbound to his father's stories about how France treated everyone equally. He ran away from home at twelve, worked as a profesional boxer at seventeen, and eventually made his way to France, where he joined the French Foreign Legion and later the Lafayette Flying Corps. He saw fierce combat during World War I and was wounded multiple times. In World War II, Bullard became a member of the French Underground. After the war, he returned to the United States with a chest full of medals, but once again faced discrimination. Bullard was all but ignored in the United States, even as, at age sixty-four in 1959, he was made a Chevalier of the French Legion of Honor. The next year, General Charles de Gaulle personally invited Bullard to a ceremony in New York where he was embraced by the general himself. Eugene Bullard's is a remarkable story of accomplishment despite racial prejudice. Author Larry Greenly's biography includes numerous historical photographs of Bullard throughout his travels. Clicking a microphone, that simple act of keying the transmit button may seem like an innocuous, mechanical process devoid of any particular meaning to most people, but to Bruce Hoffman and to thousands of law enforcement officers across the country, it is anything but. In fact, clicking a mic oftentimes carries a deeper meaning and purpose. It is about expressing raw emotion in a subtle and non-verbal manner. The static click sound made by keying the microphone may mean approval, happiness, anger, sadness…even grief. Bruce Hoffman captures these emotions and much more in his autobiographical book, aptly named Clicking Mics. Hoffman traces a 27-year career with the Hillsborough County, Florida Sheriff’s Department. His was a career that spanned the time he left the U.S. Marine Corps in 1968 to his retirement as a captain. Nestled in between are 175 anecdotes and stories about his life on the gritty streets of a Florida county that included Tampa and St. Petersburg on the Gulf Coast of the state’s peninsula. The author takes the reader on a historical journey that includes plenty of the expected – drugs, sexual crimes, violence and other seedier elements of society – but also the unexpected. Hoffman gives behind-the-scenes access to the politics and drama of police work, pulling back the veil on what most people assume, but don’t always see, goes on in the life of an officer as he climbs the ranks. Clicking Mics is complete with police procedure elements neatly woven into the stories. Undercover operations, confidential informants, drug buys and busts, and so much more are all inside this compact and well-written autobiography. There is also plenty of excitement for the crime story junkie in us all. And that is where the book’s title earns its merit. During calls the deputies would signal their reactions by a series of mic clicks. It didn’t matter if the reaction was happiness over a major drug bust gone well, or sadness over an injury or even death, the simple act of clicking the microphone button a few times conveyed it. And everyone hearing the clicks understood its meaning. Police work is known for its fraternity and the bonds that glue one officer to another. Clicking a microphone is one simple example of how that brotherhood communicates feeling and emotion without the need for spoken word. Get a copy of Hoffman’s book, sit back, and read it for its many purposes. It tells true stories and it entertains at the same time. For someone who has never been in police work, it is revealing and enlightening. For someone who has carried a badge, you will find yourself nodding throughout the book, symbolically clicking a mic along with the author. In "Clicking Mics," Bruce Hoffman offers a peek behind the door of an extensive law enforcement career with 175 anecdotes of history, lessons learned, and amusing events. After returning home to Florida from the battlefields of Vietnam, Bruce traded his Marine Corps uniform for a badge and gun. Patrolling the streets of Hillsborough County is not the same as serving in a warzone, but there are some similarities-Bruce recounts stories of seeing the best and worst of humanity, describes the struggle of deciding between right and wrong when there are all too many shades of gray, and details the two instances when he experienced friendly fire from fellow cops. In addition to the serious business of police work, Bruce shares some of the amusing shenanigans of his squad and the crazy characters they encounter. In his twenty-seven years of service to the Hillsborough County Sheriff's Office, Bruce developed a distinct point of view, one that he imparts with his heartfelt and sometimes humorous stories and lessons learned from living the day-to-day highs and lows of being a law enforcement officer. *"Clicking Mics" is the winner of a Bronze Medal in the 2016 Military Writers Society of America awards memoir category. “How can a bunch of Tennessee National Guardsmen who never expected, or trained for, deployment survive a year on the battlefields of Iraq? “ That’s the problem facing K Troop of the 278th Armored Cavalry in Beth Underwood’s new book, Gravity. The year is 2004. Operation Iraqi Freedom is still new, unexpected, and misunderstood by most Americans. The men are teenagers and grandfathers, a coach and his players, a gung-ho recruiter and an oblivious youngster who joined up simply because his friends were doing so. The challenges they face are both unprecedented and uncompromising. Underwood has not written this story from the perspective of an outside observer. She knows these men from the inside. She has talked to them and to their families, earning their trust and therefore their honesty. She has been able to get under their skin and into the crevices of their brains. The resulting stories are therefore funny one moment and excruciatingly painful the next. Their emotions are raw and frequently make the reader uncomfortable. I floundered with the text at first. The time frame seemed disjointed. The military jargon was unusually confusing and sometimes awkward. The landscape was uncharted. Too many events and too many characters left me bewildered. And then I got it. What I was feeling was exactly what these men were feeling as they set out on this unexpected venture. Without warning, Beth Underwood had sent me off to Iraq to learn about this war the same way her characters did –without explanations or guidelines. And learn I did, but not without shedding a few tears of my own. Why did she call it “Gravity,” I wondered from the beginning. Was there a force holding this group of men together? Certainly. Were they all being pulled toward a center of some sort? Yes, of course. The bravest discovered their fears and the weakest found their strengths. Was the attraction that held them together too strong to be broken, even by death? It seems so. Or is the gravity of another sort? Is the book so titled because of the importance of the subject matter? That, too, I think. The author never spells out her purpose, because there are no easy answers to the questions she raises. You’ll be thinking about this one for a long time. This is the story of a small group of Army National Guardsmen from the Volunteer State of Tennessee - otherwise simple men, who spent a year of their lives in the Triangle of Death, one of Iraq's most hostile areas of operation. But their daily patrols and combat missions weren't featured on the nightly news. Instead, they operated as silent professionals - ordinary men facing extraordinary circumstances, who carried out their jobs to the best of their abilities and prayed they'd stay alive. Continuing the legacy of citizen-soldiers throughout the ages, they stepped forward to protect their families, their neighbors, their countrymen - and their fellow warriors, even in the face of death. Theirs is a story that will live for generations to come. 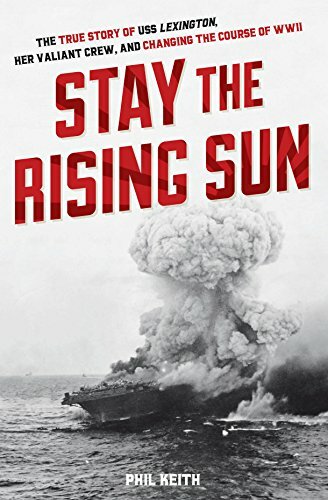 Author Phil Keith does a superb job in telling us the story of the USS Lexington, CV-1, while primarily focusing on its brief role in World War II. Keith's extensive knowledge on all things navy are evident throughout the book. He includes numerous first hand accounts of what transpired during the first five months of the war on the Pacific, and while these accounts come mostly from the American personnel who were there, they also include several from Japanese war records. His detailed description of the USS Lexington, its personnel, and the operations of its air group make this book a very interesting read. I highly recommend it to anyone interested in military history, and especially to those with an interest in the war in the Pacific during World War II. Her crew called her the "Lady Lex" - see how her fierce battle turned the tide in the Allies' favor. In May 1942, the United States' first first naval victory against the Japanese in the Coral Sea was marred by the loss of the aircraft carrier USS Lexington. Another carrier was nearly ready for launch when the news arrived, so the navy changed her name to Lexington, confusing the Japanese. The men of the original "Lady Lex" loved their ship and fought hard to protect her. They were also seeking revenge for the losses sustained at Pearl Harbor. Crippling attacks by the Japanese left her on fire and dead in the water. A remarkable 90 percent of the crew made it off the burning decks before Lexington had to be abandoned. In all the annals of the Second World War, there is hardly a battle story more compelling. Lexington's legacy did not end with her demise, however. Although the battle was deemed a tactical success for the Japanese, it turned out to be a strategic loss: For the first time in the war, a Japanese invasion force was forced to retreat. The lessons learned by losing the Lexington at Coral Sea impacted tactics, air wing operations, damage control, and ship construction. Altogether, they forged a critical, positive turning point in the war. The ship that ushered in and gave birth to a new era in naval warfare might be gone, but fate decreed that her important legacy would live on. Barbara Elizabeth Walsh's wonderfully illustrated book,The Poppy Lady: Moina Belle Michael and Her Tribute to Veterans brings the origin of red poppies used to commemorate fallen soldiers to today's children. Layne Johnson's beautifully painted illustrations add detail, color, and definition to Barbara Elizabeth Walsh's narrative around a compassionate woman who felt she couldn't do enough to honor veterans. She lived her life always wanting “to do more” for the men and women who gave so much. The Poppy Lady is an informative read. Johnson's frame-worthy illustrations bring to life a determined woman whose life goal created a symbol in the red poppy still acknowledged and revered. When American soldiers entered World War I, Moina Belle Michael, a schoolteacher from Georgia, knew she had to act. Some of the soldiers were her students and friends. Almost single-handedly, Moina worked to establish the red poppy as the symbol to honor and remember soldiers. And she devoted the rest of her life to making sure the symbol would last forever. Thanks to her hard work, that symbol remains strong today. Author Barbara Elizabeth Walsh and artist Layne Johnson worked with experts, primary documents, and Moina's great-nieces to better understand Moina's determination to honor the war veterans. A portion of the book's proceeds will support the National Military Family Association's Operation Purple®, which benefits children of the U.S. military. In his book, Brightness from the Shadows, Jon M Nelson has given us complicated, intimate visions of the what being a part of the human race is really all about - that we're truly one with each other; so very much alike even with all of our differences. This compilation of uplifting and positive poetry questions the limits and labels we place on ourselves and our fellow humans. It reaches out to explore why we treat others in a way less than loving. "We're all unique in our own way, But we're all human at the end of the day. Too many people seem to lose sight, That's why there's always a conflict or fight." This is just one of the many passages in this book that tries to bring home the point that we are all part of the human race. Think of all of the problems that the world faces today, and imagine if someone wrote poems to address these issues and tried to make a difference with them. Brightness from the Shadows is a collection of poetry attempting to do just that. There is something within the pages of Brightness from the Shadows that anyone and everyone can relate to in some way. The goal of this book is to inspire mankind to be something better. Heather Ashby has a goal when she writes. It is a simple one: to entertain. Her book, Never Forget, Love in the Fleet Book 3, does that and does it well. This is not a typical book review for me. It is my first romance novel. It was like going to a "chick-flick" with my wife and thoroughly enjoying the experience. Ashby writes for adult readers and does it very well. Never Forget is invigorating in many ways and totally entertaining. Ms. Ashby includes adventure, a love for the military, and the supernatural in a wonderful way, crossing genres successfully. Her book is appealing to a broad audience of readers and I heartily recommend it. With 7.5 tons of World Trade Center steel melted into her bow, what if there are more souls aboard the USS New York than the sailors and Marines stationed there? And what if those souls can help the troops defeat al-Qaeda this time? When Gwyn Pritchard reports aboard the USS New York, she's the only person who sees 9/11 spirits roaming the decks. As the sole survivor of an IED blast, Marine Corps Gunnery Sergeant Adam Connor is wrestling with his own haunted past, but when he learns Gwyn is seeing ghosts aboard their ship, he becomes her confidant...and her lover. Passions rise to fever pitch when the New York rushes to liberate hostages in North Africa. Can the spirits provide the right intelligence for the Marines to save the prisoners? Can Gwyn help the ghosts move on to the light? And can Adam and Gwyn find the love they've searched the world over for? The market for fiction related to the American Civil War seems to be growing, but it is rare to encounter a writer who decides to focus almost completely on the “home front” aspect of the war years. This is what Carolyn Schriber has chosen to do in setting her tale in South Carolina, by looking at a family whose patriarch, Jonathan Grenville, is a New England-born teacher who married the daughter of a well-to-do Deep South landowner, and as a result suspected by almost everyone as somehow “disloyal to the cause.” This tension, Schriber underscores, becomes especially trying during the war. It happens because there were many “causes” in the conflict – love of country, love of state, loyalty to family and friends, individual conscience (for Grenville is quietly ashamed that his wife’s family own slaves). This is just to name a few. This book is not an action-oriented tale of battlefield and comradeship. It is instead a thoughtful narrative, driven by dialogue between and among the characters as the war begins and continues in all its challenges and emergencies; these strains that the war placed on the civilians, becomes the heart of this story. What action exists in the book is usually related in letters the family members receive from relatives and friends in the Confederate Army. The Battle of Secessionville, when Union forces attempted to capture Charleston, South Carolina, is described in a letter as a hail of “shot and cannonball,” until the ammunition ran out, at which point the Rebs seize “every loose item to use as a projectile.” In this way the point is made that the South bankrupted its resources in the war. The pains of the war are told more in discussions of the events like the steady decline of food supplies in the South (the Grenvilles tirelessly tend their vegetable gardens to hold back hunger). The inevitable decline of the South is told quickly in the last pages, which makes a nice metaphor for the painful defeat that no one wanted to face or dwell on. 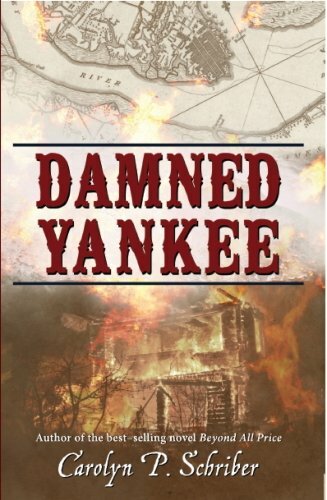 Damned Yankee is a fine tale of the war from the perspective of the overlooked bystanders who bear no arms but suffer equally from the ravages of the conflict. It is recommended to anyone who enjoys Civil War fiction. These are the people you don’t read about in history books. A Harvard-educated New Englander. He was welcomed as a teacher by a school for apprentices in Charleston, South Carolina. But when his history lessons about the founding of America clashed with the pro-secession rhetoric of local slave-owners, he was out of a job. Can he find a way to reconcile his abolitionist sentiments with the practical need to support his family in a region whose economy is based on slavery? A wealthy Southern belle. She has always believed that her ancestors were benevolent slave-owners and that they treated their slaves with dignity and respect. Now she has inherited the family plantations, only to see the institution of slavery come under attack as an unmitigated evil. The coming of the Civil War threatens her land, her children, her marriage, and the values that have always sustained her. How much will she be willing to sacrifice in order to help her family survive? A female slave. She was given to her mistress when they were both very small because they shared a common grandfather – a fact that everyone knew and no one talked about. The war offers her a promise of freedom as well as the prospect of a bittersweet separation from her beloved cousin. Will the bonds of family stretch or break? believing, like most young men, that he was invincible. And like too many of those young men, he was wounded and taken prisoner. The aftermath of his war experience left him with wounds far deeper than those that caused the amputation of his leg. Can he conquer the pain, the flashbacks, the disability, and the nightmares that keep him incapacitated and unable to return to his former life? The newly-weds. The couple married in haste, realizing that the coming of war might mean a long period of separation. But the young wife did not expect to receive a black-bordered letter telling her that her husband had been killed in battle. Now she faces life in wartime as a widow and the mother of newborn twins. She can return to her family or seek to make a a new life for herself. Which way will she turn? The children. Uprooted from their home and school by a series of family disasters, they face an uncertain future. The teenage boy gives up his dream of becoming a dairy farmer. With tears streaming down his face, he begs his cows to run away because Confederate soldiers are confiscating all cattle as food for the army. His brothers and sisters struggle to adapt to new conditions of poverty, hunger, and hard work. And they watch with fear as those circumstances threaten the stability of their parents’ marriage. Will the family stay together or scatter as their friends and neighbors have done? An educated ex-slave. Despite his free status, he realizes that freedom is just a word -- meaningless without respect in the eyes of the community and without the ability to interact on an equal basis with those who once were his owners. Will his freedom really liberate him or will it destroy him? America’s Civil War was more than a political disaster. It was a human tragedy, and everyone – North and South, young and old, black and white, rich and poor – everyone was caught up in that broken world. Yet somehow the victims held on to the hope that love for one another could mend the tears in the fabric of their lives. These are their stories. In By What is Sure to Follow, Donald N. Burton pens a striking and provocative tale of one marine’s journey from carefree college student to highly trained jungle killer to PTSD-suffering vet. He moves quickly, draws in the reader, and then blindsides him. The main character is Luke Simms, a student who isn’t trying hard enough and loses his full time college deferment, resulting in a draft notice. Rather than become fodder for the Army, the athletic Simms decides to enlist in the Marine Corps in order to have some say about where he ends up. Finding a home in the USMC, he excels and earns a spot in their most elite unit, Force Reconnaissance, or Recon. In the jungles of Vietnam, Luke is transformed into “Eyes,” a highly trained and exceptionally lethal team leader. But in finding his niche he may have lost himself, and may also lose his mind in the process. Combat vets from any conflict will probably find a lot in common with “Eyes,” and will likely relate to a lot of what goes on in the book. The book, at times, is emotionally charged and portrays very well the brotherhood of arms. It is thought-provoking but can be emotionally exhausting at times. Ex-Marine Force Recon Luke Sims is a veteran of two wars: Vietnam and the one inside his head. He's spent the last fourteen years attending self-help group sessions at a local Veterans' Center to help him be normal, to cope with the memories and trauma of his tour of duty. On the outside he seems fine. But looks can deceive and it's not long before Luke goes to war with his incredible skill set against his inner demons and the depth of his pain is at last revealed-with deadly consequences. Based on actual in-country events of uncommon valor, unbelievable luck and supreme dedication to brethren, By What Is Sure To Follow: A PTSD Odyssey dramatically follows one veteran's path, chronicling unknown exploits into North Vietnam during the early years of the Vietnam War. With stark realism, it reveals the potentially devastating aftereffects of Post Traumatic Stress Syndrome (PTSD) on those who go to war and painfully decries the failure of a nation to protect and heal its warriors when they come home broken. Jerri Gibson McCloud neatly packages a love story, a family drama, and a hard-hitting shoot 'em up war action into a book that entertains and informs. At various moments, The Liberators makes one misty-eyed, sympathetic, euphoric, and cringing in horror at the vivid up-close experiences of aerial combat during World War II. The author's knack for grouping words in a dramatic, descriptive fashion makes the reader feel he is in an airplane being shot to pieces by German fighters. While reading, one feels he is inside the airmen's minds as they fight to control fears so the mission can be completed. Your adrenaline pumps with a gunner's desperation of destroying an enemy plane before it destroys your plane. You feel the terror of watching your buddies go down in flames. The Liberators follows Andrew Walters from telling his family he has dropped out of college to join the Army Air Force and train as a B-17 bomber pilot, to combat in Europe where he meets a hometown girlfriend serving as a Red Cross Nurse, to being shot down over Germany, and to surviving the deprivation of being a prisoner of war. Walters struggles to overcome his own insecurities as he holds his crew together, completing one harrowing mission after another until their luck runs out. Captured after being shot down, Walters faces different leadership challenges against adversaries in a POW camp. Although the bulk of The Liberators follows the adventures of Captain Walters, his war experiences are skillfully interwoven with the different issues faced by his family back home in North Carolina and their emotions after receiving the dreaded telegram: Your son is missing in action. Winter 1943. WWII is full blown. USAAF B-17 Flying Fortress pilot, Capt. Andrew Walters who has an unstoppable drive and undeterred command of leadership, flies his crew through horrific missions over Germany and Austria to slow the surge of the Luftwaffe and liberate people from the devastation of Hitler’s Third Reich. In this fast-paced debut novel, German Luftwaffe burst through clouds at 12 o’clock with blinding sun preceding them, unleashing their weapons on an out gunned—out maneuvered—overloaded B-17 on one of three treacherous missions to destroy ball bearing plants over Germany. Capt. Walters leads his crew through torturous flak, 8mm guns peppering the Flying Fortress, and 20mm cannons barreling through the plane while holding a steady course toward their initial point to release bombs on German targets. A web of bloody human debris splayed across the B-17’s windshield—an eyeball stars back at them. During his thirty-month journey, Capt. Walters is determined to become the man his perfectionist father can be proud of—a man alone in his secret plight, his leadership would turn frightened, petrified, ashen boys into men. Along the way, the Captain falls in love with a spirited Red Cross nurse from his hometown. She rescues an orphaned toddler and becomes extremely attached creating multiple problems as a result. The pilot’s family in Fayetteville, North Carolina, suffers tremendously when their son becomes Missing in Action. Rarely does a WWII novel deal with the fears of its airmen or take you back home where the families cope by serving their country in other ways while their men fight for freedom for all. The Liberators covers it all. Strength of a Nation, Honor to Our Fallen, and Healing Through Relationships. 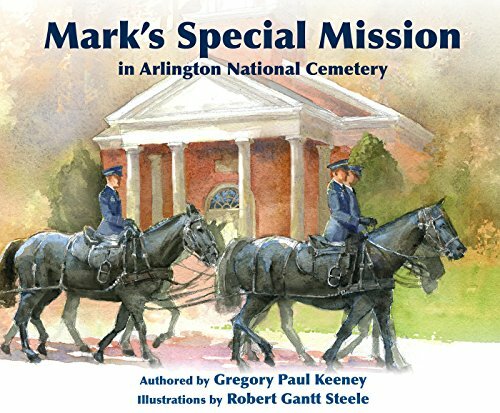 Mark’s Special Mission in Arlington National Cemetery epitomizes the character and compassion of the United States in its commitment to honor the Soldiers, Marines, Sailors, and Airmen who have given the final full measure in service to our nation. A nagging desire for the underlying truth in her brother's death fuels the protagonist, Michaela (Mick) Riley, on a dangerous journey of discovery and ultimate personal growth, in Pat McGrath Avery's Consequence. Avery draws the reader in with the first passage, and doesn't relinquish the reins until well after the last page is turned. The author builds on layers of interactions and near-misses, to reveal a web of deceit and mystery in Consequence. Her characters are real and engaging, which adds integrity to the story as it unfolds and long-hidden secrets are revealed. Consequence is a tale of regret, forgiveness, and redemption, full of action and intrigue, which touches the reader through myriad emotions. I found myself crying, shocked, laughing, and perched on the edge of my seat. I couldn't wait to see what happened next. Consequence is a worthy addition to Pat McGrath Avery's other written accomplishments. Murder and greed always have consequences. Michaela stood by her brother as he was gunned down on a street corner. She flees to South Padre Island, Texas, knowing the killer is looking for her. In a failed robbery attempt, Betty's newly found half-brother kills her friend and coworker. She buries herself in depression and shame. Through Hap Lynch, a retired Kansas City cop, the two women become friends. Can friendship and good intentions overcome the consequences of violence and deception? A thousand miles away, Jose plays his own game of deception, motivated by blackmail, fear and love for his family. Even if he saves his wife, Lourdes, will he be able to save their marriage or will the truth destroy them? Meanwhile, two ruthless businessmen, who have built a lucrative smuggling trade, care nothing for the consequences of their actions. Enthralling actions against surprising adversaries. More than thirty years after his father went missing following the crash of his F4 Phantom fighter along the Laotian-Vietnamese border, U.S. Air Force Colonel Tom Callahan’s hopes soar when a journalist friend brings a photo of what looks like a 70-year-old Caucasian working a rice field in Vietnam. Despite discouragement from the Pentagon and the murder of the photographer on the streets of Washington, Callahan takes leave from his White House job and recruits his estranged brother to go with him to Southeast Asian to find clues of MIAs who may still be alive. Along the way, several attempts by unknown assailants are made on the lives of the Callahan brothers, and in Washington, on their wives and Tom’s young daughter. The mystery is why and what connection to the search for a missing warrior from a long ago war. The quest leads the Callahans on a dangerous, surreptitious, and illegal trip through China and Mongolia to Chita, Siberia, where they meet new adversaries—agents of the Russian Security Services. The China-Siberian trip is unauthorized by and unknown to U.S. government officials. Author Brinn Colenda draws from his own experiences in the Air Force as he provides a detailed look at the military’s Joint POW/MIA Accounting Command operations in Washington, Hawaii, and in the Southeast Asia as Colonel Callahan seeks the agency’s help for his quest. For those who love fast paced action and dramatic surprises in a well written book, Chita Quest is most satisfying. Were American POWs left behind at the end of the Vietnam War—either by accident or design? Colonel Tom Callahan is driven to find out—his own father is still listed as Missing In Action. What Callahan doesn’t understand is how politically explosive the issue is, domestically and internationally. As he begins his quest, friends and associates meet violent deaths. Aided by his Australian-born wife, Colleen, his journey takes him halfway across the world to Vietnam, China, Mongolia, and ultimately, Siberia. He is helped and hindered by unexpected friends and cunning, deadly enemies. When I began to read A Dusty Boot Soldier Remembers, I quickly felt Colonel Larry Redmond was sitting beside me, relating in a verbal folksy manner the many stories of his amazing career as a Special Forces qualified Airborne Ranger infantry officer who never strayed far from a paratrooper's billet. These were not cold words on a page, but a warm, factual portrayal of a quarter of a century of challenging experiences. Redmond’s memories provide an insider's view of Army history from 1962, when he got his gold bar as a second lieutenant, through his retirement as a colonel and senior planner for Central Command in 1986. In addition to two tours as a company commander with the 101st Airborne in Vietnam where he received the Purple Heart and Silver Star, he commanded a battalion in the 82nd Airborne and served as United Nations observer on the Golan Heights following the 1973 Israeli-Arab war. He also spent several years as a Green Beret in Panama. One of his more interesting assignments was testing the fledgling Detachment Delta to ensure its readiness to become operational as the Army's elite counter-terrorism force. He explains how all of the assignments brought new understanding to the author's evolution as an extraordinary officer. Scattered throughout the narrative are "Redmond's Rules," some witty lessons learned that any soldier can benefit by following. These range from "Things get worse under pressure. Stay cool." to "Think it through, don't do dumb things." Sage advice from a man who took meaning from all life's experiences and excelled in his chosen profession. He led by example, put his troops first, and credits his success to the friendship and advice from his sergeants as well as senior officers. He spoke the truth, even when it was counter to the thinking of higher brass. While some saw him destined for a general's star, he shunned the Pentagon and other assignments usually required to reach a flag rank. He preferred to stay on jump status with his beloved Airborne. A Dusty Boot Soldier Remembers is an easy read, not cluttered with a plethora of acronyms that plague many military histories and biographies. For the military reader, Redmond's memoir is a must for your library. The casual reader will also find it enjoyable, entertaining, and informative. I give this book a lusty "Airborne All the Way, Sir!" Kinyamaswa, by Andreas Morgner, is truly “an epic poem.” The author dragged painful memories from people who survived the genocide in Rwanda that bled the life from a nation in 1994. He uses masterful images that compel the reader to live the experience with them. His research had to be written with tears as he made notes of the stories he heard. Every word, every line, every image Morgner shares has meaning, undeniable meaning, that compels the reader to experience their pain. It is a book intended for adults. Youthful readers would confuse reality with science fiction, for truth is surely more impactful than fiction in this case. Morgner paints a picture that imprints on a reader’s mind, with images that cause frequent gasps for air. We don’t want to believe mankind can be this cruel or sink to the levels that genocide excavates. Many years ago I listened to a masterful telling of Beowulf in the Celtic dialect. The fires of hell were in the words of that storyteller and I feel them still. I experienced war first hand, but not the kind of thing described in Kinyamaswa, which means “merciless.” The book is written for history lovers, people who enjoy free style poetry, and others who simply want to step into a seriously talented storyteller’s world. I found myself saddened that the story is applicable to current events. When I began the journey through Morgner’s “cantos” I did not expect it to leave the impression it did. I applaud his work and respect his incredible command of our language. I wholeheartedly recommend Kinyamaswa: An Epic Poem.